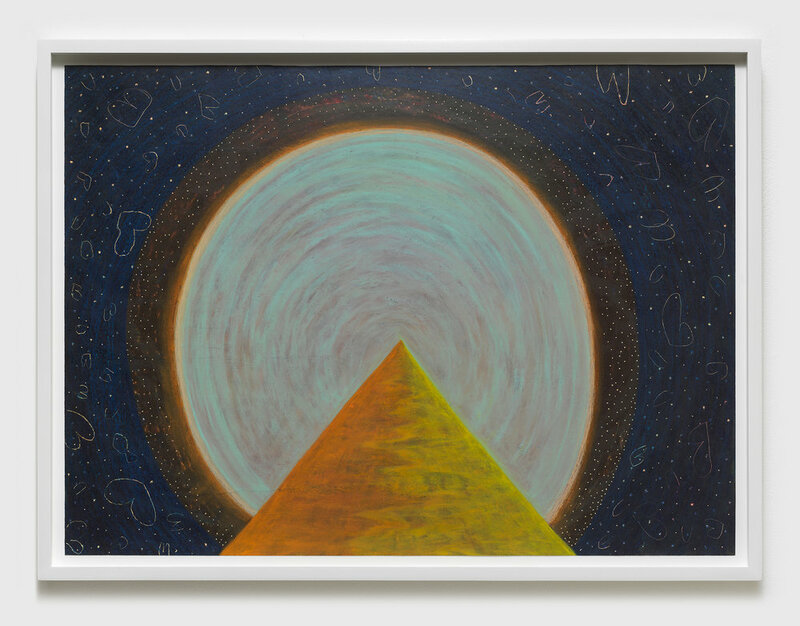 Kristen Lorello is very pleased to announce a solo exhibition of new works by Ping Zheng. This is Zheng's first exhibition with the gallery. Works on paper in oil stick feature elements of landscape, bold lines, and geometric shapes that at times suggest portions of the human form. A group of small compositions develops a simple u-shaped outline. 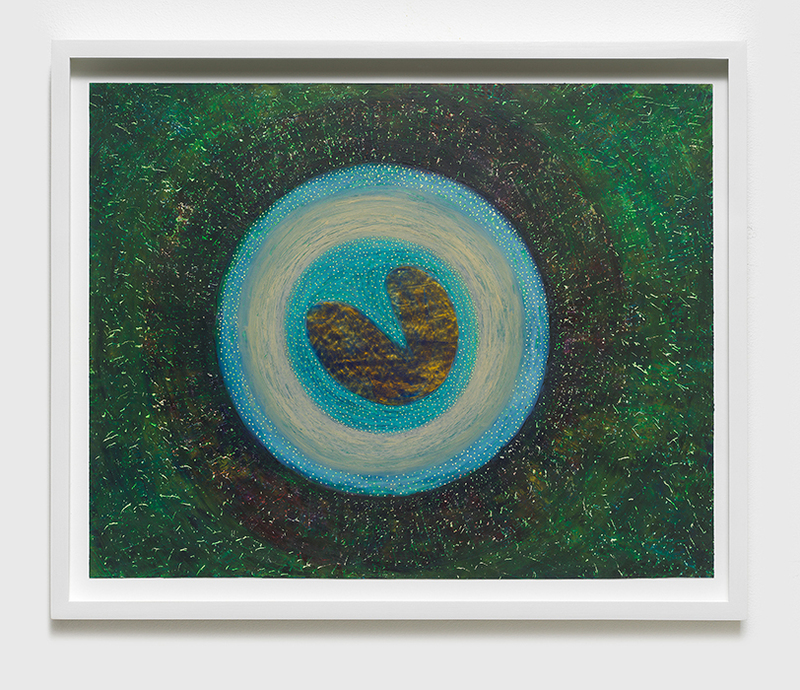 Appearing at first in an inchoate phase, the motif evolves into scenic elements within the artist's larger works: moonlight reflecting in water, overlapping mountains, and a cave flooded at its entry point. Layers of overlapping marks in varied tones, lines scratched into an impastoed surface, and repeated specks of color suggest hovering energies and growth. 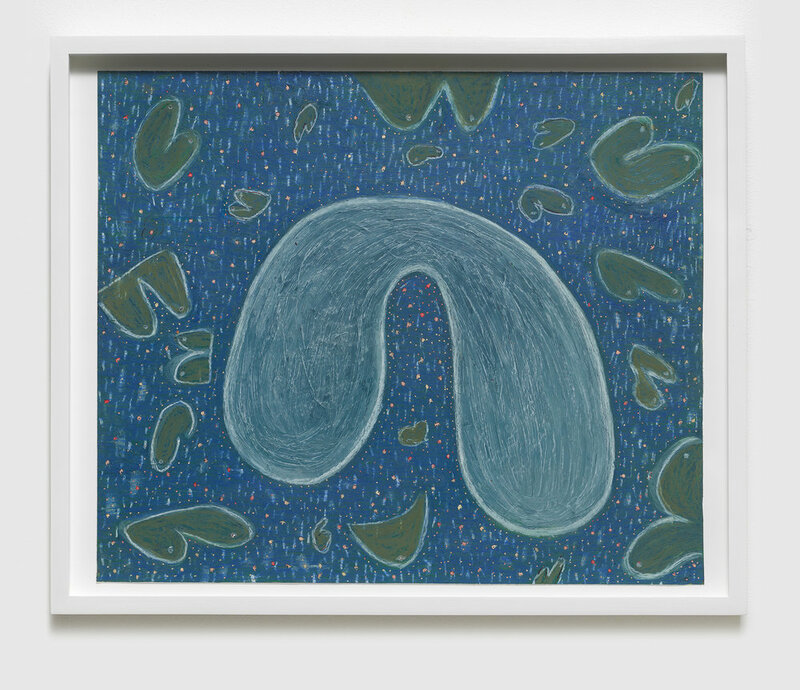 Finding inspiration in the works of preceding artists such as Thomas Nozkowski, Hilma Af Klint, and Forrest Bess, Zheng's works convey a sense of personal interiority. She draws upon her experiences in nature while working from her studio in the city, noting, "Living in New York, it is not so green, but a day of dawn and night is splendid, the color of sky is changing, city lights are everywhere at night and quite beautiful." Ping Zheng received and MFA in Painting from the Rhode Island School of Design in 2016 and a BFA in painting from the University College of London, Slade School of Fine Art in 2014. Her works have been exhibited at Microscope Gallery, Brooklyn NY, Nancy Margolis Gallery, New York, NY, the Chinese American Arts Council/Gallery 456, New York, NY, and Trestle Gallery, Brooklyn, NY, among other venues. She has completed artist residencies at the Rancho Linda Vista Arts Community, in Oracle, Arizona, and the Vermont Studio Center, in Johnson, Vermont among others. Zheng was born in 1989 in Zhejiang, China and lives and works in Brooklyn, NY.